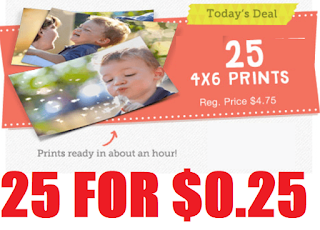 25 4"x6" Photo Prints only 25 Cents + Free Pickup at Walgreens when you enter coupon code 25SPRINGPIX at checkout. Select free in-store pickup to save on shipping. Must be ordered online, NOT through the Mobile App. Valid through midnight 3/31, order before then and pick up any time.